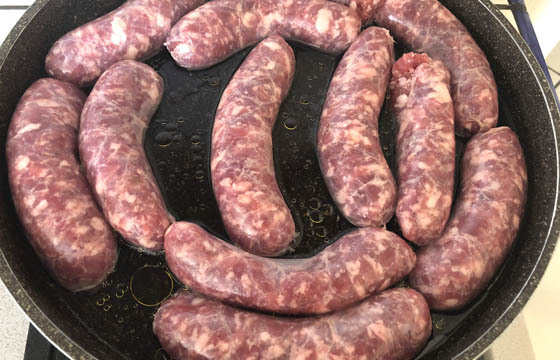 The most typical Neapolitan winter dish is friarielli with pork sausage. And since, as is well known, the best recipes are recycled from others, there's nothing better than a pasta dish topped with this delicacy. Whether made in advance or on the spot, it's always a wonderful idea. 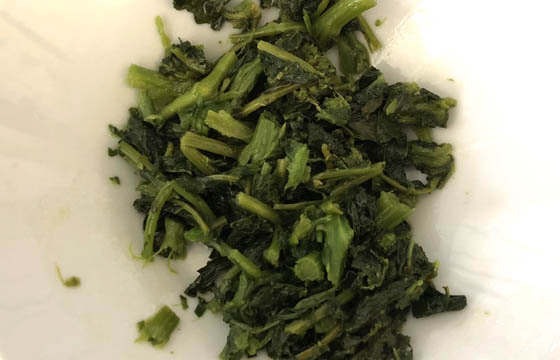 You can substitute the friarielli, which are particularly bitter and only grow in the Neapolitan countryside, with other long-leaved broccoli depending on where you live or, at most, with green cabbage. The type of pasta chosen for this recipe is orecchiette, which have always gone hand in hand with friarielli, or broccoli rabe when not in Naples. All-Italian fusion for boundless flavour. Add a small amount of oil to the bottom of a large pan and place the sausages in it. Add water until the sausages are halfway submerged and cook over medium heat. 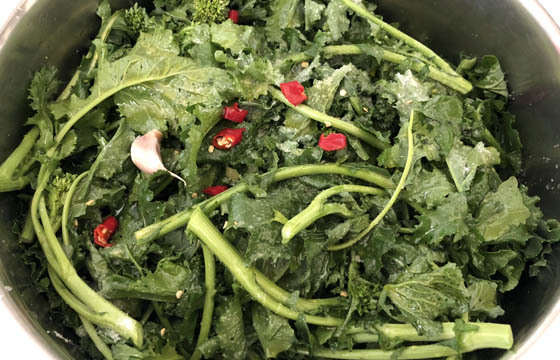 Remove the thicker stems from the friarielli or broccoli rabe, wash carefully, and place in a tall pot. Season with plenty of olive oil, add an unpeeled clove of garlic, one chilli pepper, season with salt, cover and heat over a very low flame. 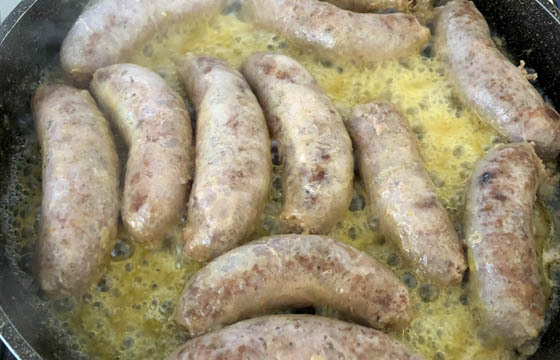 After about ten minutes, turn the sausages over and cook until the water has completely evaporated and the sausages are coloured on both sides. 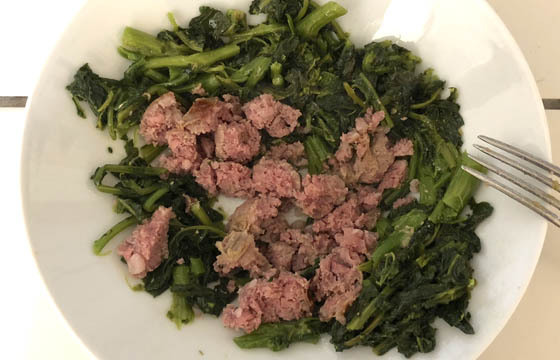 When the friarielli or broccoli rabe are tender (it will take at least 30 minutes), place them in a bowl and chop them coarsely with a knife. Do the same with the sausages, once cooked.